We see a number of queries on the forum about garments worn by soldiers. There are often references to jodhpurs when mounted soldiers are depicted. It has been my belief that jodhpurs ran the full length of the leg, with a narrow fit over the calf, and a wide flare over the thigh, whereas breeches ended just below the knee, where they were laced or fastened. Were jodhpurs ever issued to mounted troops? Perhaps one of our residents could elaborate. Sounds like a question for Joe Sweeney. Yes. Jodhpurs long, tight from knee to ankle, riding breeches short, to just below the knee. Quite right. +1 -- I have been guilty of referring to Jodhpurs (as recently as yesterday I think) when I probably should have said breeches although in the presence of puttees and or leather shin guards I am not entirely sure how to tell the difference in photos. I suspect this is simply imprecision in expression on my part (like the relatively common reference to service dress tunics rather than jackets?) So I for one would also like to know the answer! Thanks, so far, but beware, Chris. I made the same point about jacket/tunic some time ago and was shot down by Grumpy, I think. I believed that a jacket was something confined to RHA and perhaps other mounted people, but was smartly rapped. .....or have I been labouring under another misapprehension? The issued mounted nether garments were breeches, or overalls. Jodphurs were a civilian style with a pronounced bag in the thigh portion and purchased privately by officers, but never issued to the men. Thank you for what reads like an authoritative statement, especially as it supports my understanding of the differences. I can now rest content when I read of jodphurs, knowing they were not issued! Interests:Trying to avoid being completely ruled by Cartoss. Military Equitation from 1660. Mounted Skill at Arms (Sword, pistol and lance, practical). Regimental Assoc. Historical re-enactment. Good Red Wine and the odd drop of Port. Growing a decent Moustache. Wolfhounds. 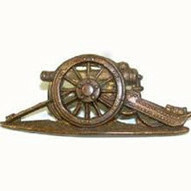 In khaki Officers had Suit, service dress (jacket and riding breeches); Mounted men (Cavalry) had Jackets,service dress with metal titles and pantaloons. OR's pantaloons are what the rest of us would call breeches. I suppose it's a little like the old invitations were supposed to be: Officers and their Ladies, Serjeants and their wives, other ranks and their women! 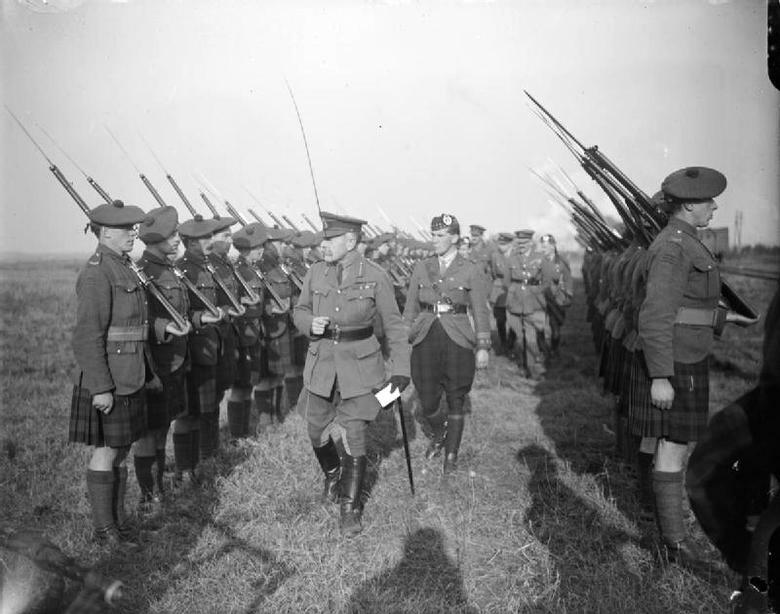 However there are plenty of photos of officers, from Haig downwards with wide flares over the thigh. One assumes that these are breeches (as they have puttees, long boots, gaiters etc it is impossible to tell where they garment ends). The most exaggerated flares I have seen (out side a Morecambe and Wise sketch) are actually on an American pilot - Eddy Rickenbacker. Before the early 19th Century breeches were normal wear for military and civilian alike and all ranks wore them. They always ended just below the knee and stockings or gaiters were worn, there was no flare over the thigh. It appears to have been Wellington who began the fashion for men wearing trousers in polite society - he found them more comfortable. It is not where the garment ends that is critical in marking them as 'jodphurs' but the voluminous nature of the thigh portion, although the extent of the volume varied over time and at one time was verging on the ridiculous. Breeches were invariably more modest in the thigh area. Jodphurs were purchased by the officers from their regimental tailors, but never issued. 'Pantaloons' were just as much an officers garment, as other ranks, and were stipulated in the 1900 Dress Regulations for Officers of the Army, just as one example. I know several people who were "more modest in the thigh area", but thanks for the erudite comments. There is no simple answer to any simple question as I have learned from life on the forum. The fact that at that time only other ranks were 'issued' with uniform and that officers purchased their own to an agreed pattern that often did not conform with that of the soldiers, is generally very misunderstood. 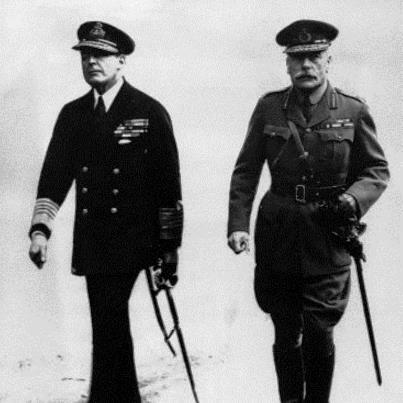 So was Haig wearing Jodhpurs or breeches? and what are these Assyrian officers in the British Army wearing? Misunderstood ? By whom ? Officers receive an outfit allowance to buy their uniforms, made by private tailors and which must comply to a sealed pattern. I thinks forensic examination would be needed. I like the link between the formal word pantaloon, and it's earlier use in the forerunner to pantomime. Misunderstood by a great many I can assure you. Not all understand what you have related. As a footnote what you say is no longer true. Outside of the Household Division only mess dress is still purchased using a (reduced) clothing allowance. Service Dress is now confined to two patterns only and both are issued off the hanger and then adjusted to fit, You are out-of-date. I am not rising to your bait Centurion....look elsewhere for your 'fix'. Jodhpurs are worn with ankle height Jodhpur boots, not long boots or gaiters. Indian cavalry officers wore them for specific non-mounted work (e.g. in the office) but one can ride in them too (popular recreational wear). Pantaloons (from French 'pantalons') were the 'dress' nether garment for mounted officers and worn with knee high 'butcher' boots. They were loose in the thigh (to facilitate riding) and made of dark blue wool with a scarlet outer stripe and laced to fit closely at mid calf. Undress overalls were also a uniform nether garment in dark blue with scarlet outer stripe, but much longer than pantaloons, close fitting all the way down and worn 'over' leather 'wellington' boots and secured tightly under the instep of the boot with a buckle and leather strap. Unlike pantaloons, which have become archaic, overalls are still worn in the British Army as a result of their continued use with Mess Dress. As you have said, riding breeches were a field garment and at that time made of either heavy weight (usually 32oz) cotton corduroy, cavalry twill, or 'Bedford corduroy' (a tough mix of wool and cotton). They were to be worn with brown riding (hunting) boots by MI officers and dark blue (later khaki) puttees and ankle boots by the MI men. They were usually 'strapped' (that is fitted with a strip of inner thigh reinforcement). Jodphurs had the same concept as pantaloons, but in their original form had an exaggerated (voluminous) thigh. Although this was moderated in later, British usage, they were still characterised by a much more generous thigh section than other such garments. Rather like plus fours they fell from fashion in the decades after WW2 and by the 1960s were seen as an anachronism harking back to a privileged and Colonial past. Today they are rarely seen outside of theatrical productions and eccentric's wardrobes. Officers of the British Army for a period wore a hybrid lower garment that has been described as Jodphur Breeches and these had the voluminous thigh piece of the former, but the shorter leg piece of the latter. These were often worn by senior officers and even their junior staff and were notable for their pale fawn colour (often cavalry twill), which contrasted in a dandyish way with the khaki drab SD jacket and became a kind of fashion item guaranteed to raise the bile of mud spattered and trenchbound infantry officers. They were even parodied in the infamous "Blackadder Goes Forth" TV series. Interests:Cavalry of the C20th. Mounted military exercise. I am a member of the Northamptonshire Yeomanry (mounted), which is a military saddle club that works to stop the knowledge of cavalry fading into history. President, The International Cavalry Association. I don't want to confuse anyone, but I think you will find the army calls them Pantaloons but they are talking about breeches, pronounced britches. Jodpurs do not figure. 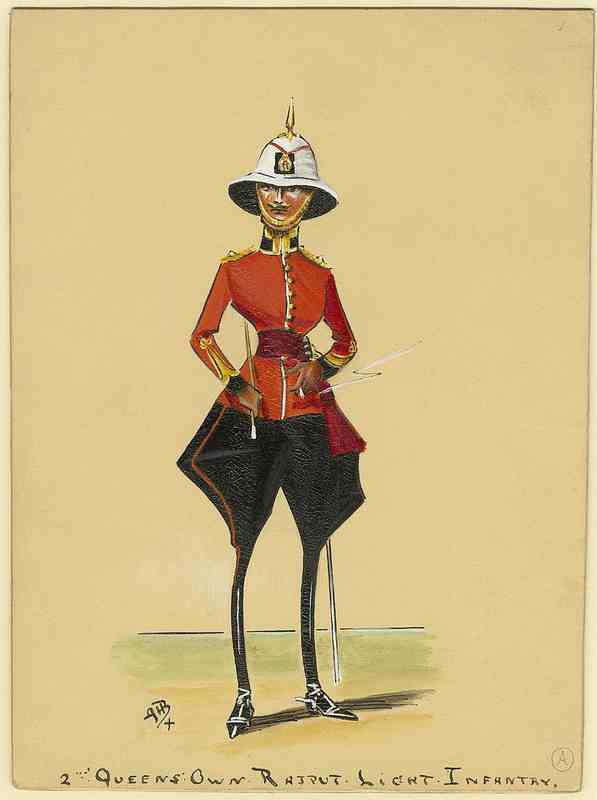 For the WW1 period - In Dress Regulations (Officers) the term Pantaloons is used both for full dress and field dress. In Clothing Regulations (Other Ranks) the term Breeches is used and the term Pantaloons does not appear. This is very typical of the British Army, as implied by SQMC is his post above. I agree that they are synonymous and this is borne out in W.Y. Carman's 'Dictionary of Military Uniform'. He also has this to say about Jodphurs: "Indian Cavalry Breeches, tight in the leg but loose elsewhere". They were, as stated above, a fashion fad and were especially baggy in the thigh in the 1930s. Jodhpurs originally were long pants, reaching to the ankle, snug from the calf to the ankle, with reinforced fabric protecting the inner calf and knee from rubbing. The thighs and hips were flared, a traditional oriental style to help with bodily cooling in a hot climate, but which, in an era before the invention of stretch fabrics, also allowed free movement of the hip and thigh while riding. They originate from an ancient style of Indian trouser called the Churidar, which is tight around the calf and baggy at the hips, still worn at traditional Jodhpury weddings. This is a special traditional style of clothing in Northern India, especially in what is today the modern state of Rajasthan, which has its capital at the city of Jaipur. Sir Pratap Singh, a younger son of the Maharaja of Jodhpur, popularised in England the style of riding-trousers worn in Jodphur, a design that he apparently improved and perfected by himself and first tailored in India about 1890. Singh was an avid polo player, and when he visited Queen Victoria in England during her Diamond Jubilee celebrations of 1897, bringing with him his entire polo team, they caused a sensation among the fashionable circles of the United Kingdom, with their reputation enhanced by the fact that they won many polo matches. His jodhpur style with flared thigh and hip was rapidly taken up by the British polo playing community, who adapted it to existing designs of English breeches that ended at mid-calf, worn with tall riding. 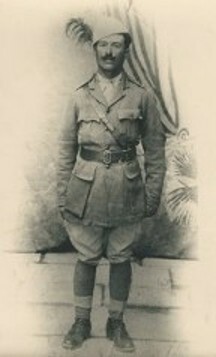 Thus the full-legged design of the true Jodhpur was not adopted as British polo apparel, and all early photographs of European polo teams show the use of tall boots. 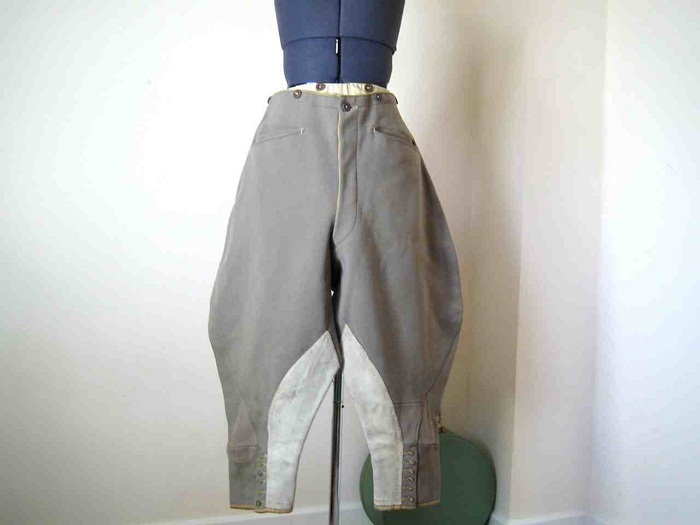 Though the term "jodhpurs" was applied colloquially to this style of breeches, they were not true jodhpurs and are more accurately termed "flared-hip breeches" (aka Jodphur-Breeches). This British version was soon being produced by Saville Row tailors in London, including those associated with the military. The use of the Indian-style, ankle-length Jodhpurs avoided the need for tall, expensive riding boots, as the calf of the leg was protected by the reinforced design and snug lower fit of the longer trouser leg which kept the rider's calf from rubbing against a horse's sides and against the stirrup leathers. 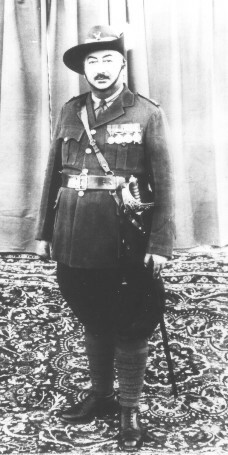 In popular culture, jodhpur-style breeches worn with tall boots became particularly associated with military staff officers who wore uniforms based on riding apparel, often derived from the mounted tradition for more senior officers from which nations drew their corps of top commanders. 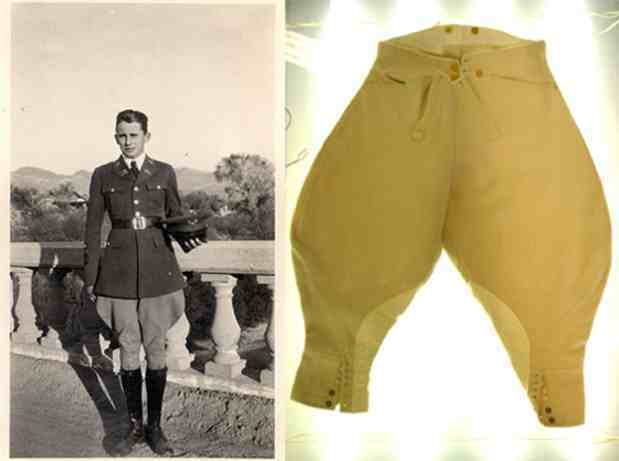 The style thus came to be associated with authority figures in general and thus flared-hip breeches formed part of the military uniform of staff officers in Nazi Germany and many Soviet Bloc countries, including the former USSR and East Germany. Excellent stuff. Thanks to all contributors. I will always remember Eric Morecambe in outrageously exaggerated legwear, whatever the style was! I know it's out of period but you often see jodphurs worn with "Chuplis/Chupla" indian sandals in the thirties, mainly by officers on the NW frontier. A bit of a tangent to this thread, but I was wondering when trousers became part of the Officers SD uniform and were they worn, even if only at home during the Great War?